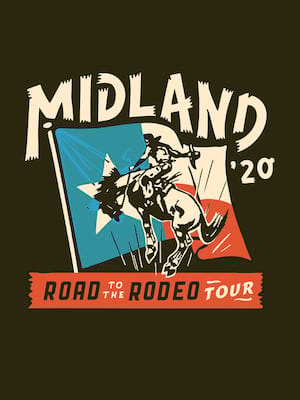 The refreshingly new country band Midland hits the road in 2019 to bring their traditional sound to fans across the US! Breaking through in 2016, Midland are certainly the new boys on the block, but that doesn't make their music any less worthy of your attention. Disregarding the increasingly popular bad-boy style of country Midland have taken the genre backs to its roots, resulting in authentic melodies and beautiful storytelling. 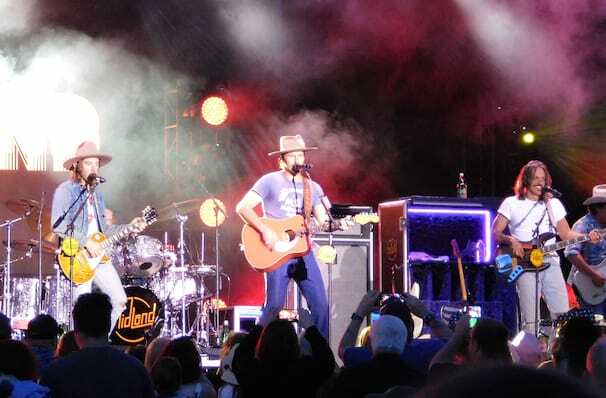 Their debut album, On The Rocks, launched the group into the mainstream as it landed at Number two on the US Country charts and Number 20 on the US album charts! With over 96,000 sales and their latest single 'Burn Out' hitting Number 24 in the Country charts, Midland are set to reach stratospheric heights. The band now head out on tour in support of On The Rocks in their continued Electric Rodeo Tour, don't miss your chance to see these rising stars live! Seen Midland? Loved it? Hated it? Sound good to you? Share this page on social media and let your friends know about Midland at Riverwind Casino. Please note: The term Riverwind Casino and/or Midland as well as all associated graphics, logos, and/or other trademarks, tradenames or copyrights are the property of the Riverwind Casino and/or Midland and are used herein for factual descriptive purposes only. We are in no way associated with or authorized by the Riverwind Casino and/or Midland and neither that entity nor any of its affiliates have licensed or endorsed us to sell tickets, goods and or services in conjunction with their events.